Mormonism shares much in common with the Gnosticism that the early church faced. Here I will examine Mormon commonality with the Gnostic beliefs confronted by the early church, and draw applicable principles from the teachings of early church fathers to apply to the false teachings of Mormonism. Mormonism originated with Joseph Smith, who records its inception in 1830 as the result of multiple encounters with spirits, including John the Baptist and other angelic beings, who revealed to him the form and scriptures of the true church. It was his assertion that God revealed to him that all of the churches of his day were corrupt, and that he was the prophet of God to restore God’s true revelation to man. According to his account, he was led by these spirits to find the Book of Mormon buried by ancient Jews in America and inscribed on golden plates, and he translated the “reformed Egyptian language” within it using the Urim and Thummim given to him by the angels. While these plates were later lost, they told the story of two lost biblical groups, Jesus’ appearance in the Americas, and the further teachings of God to the church. Smith claimed to be ordained to the priesthood of Aaron by John the Baptist, and later to the priesthood of Melchizedek. As the continuing prophet of God, Smith continued to add to these teachings, producing the Book of Moses, the Book of Abraham, and his own translation of the King James Bible, each of which he attributed to divine inspiration and authority. He continued to receive regular further revelations, creating a Book of Commandments, which became in later days a part of the Doctrine and Covenants currently used by the Mormon Church. As other church leaders also began “prophesying” new revelation, Smith had to deal with factions and splits in the new religion. He moved his growing church to Nauvoo, Illinois, adding increasing complexity and secrecy to leadership of the church, including beginning the practice of polygamy. Critics, factions, and his own use of power led to his death in 1844, and subsequent splits of the church. Brigham Young, a leader under Smith, took the largest group to Salt Lake City, Utah, where he became President and continued to lead in the same manner as Smith. There are some things about the priesthood that every elder should know if he is to understand how the Church is governed.… There are principles and precepts and rules which are often overlooked and seldom taught. Some of these are found in the scriptures, others in the handbooks. Some of them are not found in either. They are found in the Church. You might call them traditions, but they are more than that. They are revelations which came when the Brethren of the past assembled themselves, agreed upon His word, and offered their prayers of faith. Many of their key doctrines are not taught in their standard scriptures at all, or are contradicted by them. John Farkas and David Reed, in their text Mormonism : Changes, Contradictions, and Errors affirm that Mormons are taught to follow church authority as it flows from leadership over that in the scriptures, even as it sometimes contradicts their scriptures, or even if it is known to be wrong! Thus, while the Church of Jesus Christ of Latter-day Saints has Articles of Faith written by Joseph Smith and their official church doctrines, the best sources for their doctrine in practice come from their internal church manuals and their published church teachings. The nature of God, the trinity, Jesus, man, and divinity are all different in the Mormon church than in orthodox Christianity. For instance, their article of faith about the trinity appears orthodox, stating, “We believe in God, the Eternal Father, and in His Son, Jesus Christ, and in the Holy Ghost.” However, Walter Martin, in his text The Kingdom of the Cults, notes that the Mormon church believes that “the Trinity consists of three gods born in different times and places; the Father begot the Son and Holy Ghost through a goddess wife in heaven.” According to Mormon teachings, there are many gods, over many inhabited planets, each of whom were humans before their exaltation to godhood. Joseph Smith taught that creation itself was the result of a “council of the Gods”, and was led by Jesus Christ as Jehovah of the Old Testament, son of Elohim. The plurality of gods is possible because humans are the same nature as god, born of god, and can each be exalted to godhood through their lives here on Earth and a continuing progression in the afterlife. God himself was once a man, who has now been exalted. Men are all born as spirit-children of God, before creation, brothers of Jesus, Lucifer, and the angels. They are sent into flesh to establish their obedience and begin their eternal progression toward their own godhood. Gnosticism was a spiritual belief system that began forming more extensively in the late first century, and reached the pinnacle of its support in the second and third centuries. Gnosis, originally a generic Greek word for knowledge, in this system came to refer to the hidden mysteries of God known only by a few and revealed only to those who can reach the appropriate mystic level. It is not a religion in itself, not drawn from any particular scripture or derivative of any specific cult or religion, but is a collection of spiritual philosophical ideas that adapt from and to cult beliefs and practices, Greek philosophy, several religious writings, and is solidified around specific teachers. Gnosticism portrays a dualistic conflict between the spiritual unseen realm and the earthly material one. The spiritual realm finds its culmination in the ultimate spirit-being, God, of which we are all part of or of similar nature. Our godly spirit, however, is imprisoned in the material world and in the earthly body—both of which are evil and created by a lesser “demiurge” god. Thus, in Gnostic thought, anything that encounters the earthly material world is dark, evil, and corrupted—while pure spirit is where light, freedom, and divinity are found. The Gnostic redeemer is one who carries the message of freedom from this material world, whereby the spirit can be freed from the evil and corrupt body. Gnosticism was quickly adapted by some into Christian thought, having an affinity with the mystery cults of the near east, Greek philosophy, and even dualistic Judaism. It could be found in varying degrees and forms in several early Christian writers over time, and was opposed in some of its early forms in books of the New Testament, and in its later forms by several of the church fathers, including the “new” revelations of Valentinus countered by Irenaeus, Marcion’s attacks against the God of the Old Testament countered by Tertullian, and the neo-platonic ideas of Manichaeanism—with its dualism of dark versus light and determinism—refuted by Augustine. The common characteristics of nearly all the Gnostic systems are (1) Dualism; the assumption of an eternal antagonism between God and matter. (2) The demiurgic notion; the separation of the creator of the world or the demiurgos from the proper God. (3) Docetism; the resolution of the human element in the person of the Redeemer into mere deceptive appearance. These commonly result in a rejection or redaction of the Old Testament, marking the God of the Old Testament as the demiurge, the lesser, or evil, creator God. Christ, as the perfectly good redeemer, is often regarded as not having a body at all (since the flesh is materially corrupted), but merely appearing to have a body, suffer, die, and be resurrected. In addition, the Gnostics usually subordinate and redact the New Testament according to their secret knowledge garnered from sect tradition, personal revelation, and from gatherings of apocryphal documents. While Mormonism and Gnosticism have several distinct differences, there are, as well, several key comparisons to be made between them which will allow the response of the early church to Gnosticism to guide a biblical response to Mormonism. Smith did apparently espouse themes familiar to Gnosticism–prominent among them being his affirmation of the reality and necessity of continuing, individual revelation as the source of salvific knowledge. Joseph Smith and his religion eschewed theology in favor of the dynamic process of revelation… Near the beginning of his ministry in 1833, Smith declared “the glory of God is intelligence”, eternal and uncreated. Those who wish to find in him a Gnostic have pointed out that Smith used the word “intelligence” interchangeably with “knowledge” in his prophetic writings during this period. Indeed, they suggest, his words might be read poetically to proclaim God’s glory is Gnosis–a Gnosis that saves woman and man by leading them together to a single uncreated and intrinsically divine Self. Just as Gnosticism gave authority to the secret knowledge of a certain teacher to guide their beliefs and practice, so Mormonism likewise emphasizes the authority of the President of the church to guide believers over scripture or doctrine. Whereas Gnosticism redacts existing Scripture and adds apocryphal documents to supplement their doctrine, Joseph Smith and following Presidents rewrite and reinterpret scripture, adding documents and continuing revelation to their doctrine. While the Latter-day Saints do not share Gnosticism’s view of the corrupt flesh, they do share a similar view of the human spirit, sharing in divine essence with God and incarnated into the flesh, as well as a common “kinship” between all spirit-beings. Similarly to how Gnosticism relegates creation to the lesser demiurge, Mormonism references Jesus as the Jehovah of the Old Testament, son of Elohim, that led the gods in creation. Such, then, is their system, which neither the prophets announced, nor the Lord taught, nor the apostles delivered, but of which they boast that beyond all others they have a perfect knowledge. They gather their views from other sources than the Scriptures; and, to use a common proverb, they strive to weave ropes of sand, while they endeavour to adapt with an air of probability to their own peculiar assertions the parables of the Lord, the sayings of the prophets, and the words of the apostles, in order that their scheme may not seem altogether without support. Irenaeus argues that Scriptures should be taken in context and as a whole in their interpretation, rather than taking bits and pieces and rearranging them to fit a pre-determined meaning. He compares it to taking verses out of different works of Homer, and combining them to tell a wholly different narrative. Irenaeus maintains that the teachings of the orthodox Christian faith, as given by the apostles and held by the catholic church across the “central regions of the world,” stand in defiance of this new and radically different gospel. In Book III, he holds the Gnostic teachers accountable to their abandonment of both apostolic tradition and the Scriptures, noting that while cannibalizing the Scriptures to support their contentions, their actual doctrines are formed by direct revelation. He refutes them, establishing that the catholic church has the authority of the apostles, and that the whole of the apostles’ teaching could be found in the church’s Scriptures, consistently across both Old and New Testaments. Tertullian later continues Irenaeus’ rebuttal of the Gnostic heresies, this time refuting a plurality of gods. He notes that the Christian God is a supreme god, and that by godhood’s very nature, there can be only one supreme. He draws the conclusion that “either we must deny that God is the great Supreme, which no wise man will allow himself to do; or say that God has no one else with whom to share His power.” Tertullian shows how the Old Testament is unified and defines the New Testament, disallowing false interpretations. Just as early Gnostic teachers de-contextualized and reordered Scripture to support their predetermined philosophies, so the Mormon church has chosen “proof-texts” from the Bible to show support for their new teachings. Irenaeus refuted new teachings that opposed the accepted Scripture and doctrine of the church, and relied on the authority of the apostles and the accepted creed of the church to reject new teachings that seek to redefine the gospel. In addition, Tertullian gives us a guide in rejecting the multiple gods found in both Gnosticism and Mormonism, showing that multiple gods are no god at all. He continues in reinforcing the validity and sufficiency of Scripture in refuting new and different doctrine, showing us that the whole of the Scripture, Old Testament and New, hangs together in providing an orthodox view of God and man and in rejecting Gnostic and Mormon heresy. J. Gordon Melton, Encyclopedia of American Religions, 6th ed (Detroit: Gale Research, 1999), 635. John R. Farkas, and David A. Reed, Mormonism : Changes, Contradictions, and Errors, electronic ed (Grand Rapids: Baker Book House, 1997), 29. Boyd K. Packer, “What Every Elder Should Know–and Every Sister As Well: A Primer on Principles of Priesthood Government,” Ensign, February, 1993, 7. 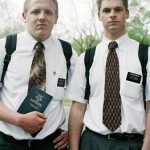 Farkas and Reed, Mormonism, 29. J. Gordon Melton and James Sauer, The Encyclopedia of American Religions, Religious Creeds : A Compilation of More Than 450 Creeds, Confessions, Statements of Faith, and Summaries of Doctrine of Religious and Spiritual Groups in the United States and Canada (Detroit, Mich.: Gale Research Co., 1988-c1994), 655-66. Walter Martin and Ravi K. Zacharias. The Kingdom of the Cults. Rev., updated, and expanded ed. (Minneapolis, Minn.: Bethany House Publishers, 2003), 192. Joseph Smith, Joseph Fielding Smith (ed.). Teachings of the Prophet Joseph Smith. (Salt Lake City: Deseret Book, 1938), 349. James Talmage, The Articles of Faith (Salt Lake City: The Church of Jesus Christ of Latter-day Saints, ), 48, 466-67. The Church of Jesus Christ of Latter-day Saints, Gospel Principles (Salt Lake City, UT: privately printed, 1997), 297-8, 302, http://www.lds.org/gospellibrary/materials/gospel/Start%20Here_01.pdf. Apostle Orson Hyde, Journal of Discourses, 1:123. Farkas, and Reed, Mormonism, 22-3. Bruce R. McConkie, What the Mormons Think of Christ (Salt Lake City: Bookcraft, 1973), 33. Erwin Fahlbusch and Geoffrey William Bromiley, “Gnosis, Gnosticism,” in The Encyclopedia of Christianity, (Grand Rapids, Mich.; Leiden, Netherlands: Wm. B. Eerdmans; Brill, 1999-<2003), Vol. 2:418. Fahlbusch and Bromiley, “Gnosis, Gnosticism,” Vol. 2:418. Philip Schaff and David Schley Schaff, History of the Christian Church (Oak Harbor, WA: Logos Research Systems, Inc, 1997), 125. Philip Schaff and David Schley Schaff, History of the Christian Church (Oak Harbor, WA: Logos Research Systems, Inc, 1997), 117. Schaff and Schaff, History, 117. Lance S. Owens, “Joseph Smith: America’s Hermetic Prophet,” The Gnosis Archive, Spring, 1995, http://www.gnosis.org/ahp.htm. (accessed July 7, 2009). Tim Dowley et al., Introduction to the History of Christianity (Minneapolis: Fortress Press, 2002), 100. Alexander Roberts, James Donaldson and A. Cleveland Coxe, The Ante-Nicene Fathers Vol.I : Translations of the Writings of the Fathers Down to A.D. 325, The Apostolic Fathers With Justin Martyr and Irenaeus. (Oak Harbor: Logos Research Systems, 1997), 326. Alexander Roberts, James Donaldson and A. Cleveland Coxe, The Ante-Nicene Fathers Vol.III : Translations of the Writings of the Fathers Down to A.D. 325, Latin Christianity: Its Founder, Tertullian. (Oak Harbor: Logos Research Systems, 1997), 274. The Church of Jesus Christ of Latter-day Saints. Gospel Principles. Salt Lake City, UT: privately printed, 1997. http://www.lds.org/gospellibrary/materials/gospel/Start%20Here_01.pdf. Dowley, Tim, J. H. Y. Briggs, Robert Dean Linder and David F. Wright. Introduction to the History of Christianity. Minneapolis: Fortress Press, 2002. Fahlbusch, Erwin and Geoffrey William Bromiley. “Gnosis, Gnosticism.” In The Encyclopedia of Christianity. Grand Rapids, Mich.; Leiden, Netherlands: Wm. B. Eerdmans; Brill, 1999-<2003. Farkas, John R. and David A. Reed. Mormonism : Changes, Contradictions, and Errors, electronic ed. Grand Rapids: Baker Book House, 1997. Martin, Walter and Ravi K. Zacharias. The Kingdom of the Cults. Rev., updated, and expanded ed. Minneapolis, Minn.: Bethany House Publishers, 2003. McConkie, Bruce R. What the Mormons Think of Christ. Salt Lake City: Bookcraft, 1973. Melton, J. Gordon and James Sauer. The Encyclopedia of American Religions, Religious Creeds : A Compilation of More Than 450 Creeds, Confessions, Statements of Faith, and Summaries of Doctrine of Religious and Spiritual Groups in the United States and Canada. Detroit, Mich.: Gale Research Co., 1988-c1994. ________. Encyclopedia of American Religions, 6th ed. Detroit: Gale Research, 1999. Owens, Lance S. “Joseph Smith: America’s Hermetic Prophet.” The Gnosis Archive, Spring, 1995. http://www.gnosis.org/ahp.htm. (accessed July 7, 2009). Packer, Boyd K. “What Every Elder Should Know–and Every Sister As Well: A Primer on Principles of Priesthood Government.” Ensign, February, 1993, 6-11. Roberts, Alexander, James Donaldson and A. Cleveland Coxe, The Ante-Nicene Fathers Vol.I : Translations of the Writings of the Fathers Down to A.D. 325, The Apostolic Fathers With Justin Martyr and Irenaeus. Oak Harbor: Logos Research Systems, 1997. ________. The Ante-Nicene Fathers Vol.III : Translations of the Writings of the Fathers Down to A.D. 325, Latin Christianity: Its Founder, Tertullian. Oak Harbor: Logos Research Systems, 1997. Schaff, Philip and David Schley Schaff. History of the Christian Church. Oak Harbor, WA: Logos Research Systems, Inc, 1997. Smith, Joseph, Joseph Fielding Smith (ed.). Teachings of the Prophet Joseph Smith. Salt Lake City, UT: Deseret Book, 1938. Talmage, James. The Articles of Faith. Salt Lake City: The Church of Jesus Christ of Latter-day Saings. labelOf course Mormons would say that what became the official orthodoxy of the Roman Empire and the various Gnostic sects were both diverging from the original gospel. So Mormonism shares some characteristics with the Catholic Church and the churches that split off from it, and Mormonism has some traits in common with some Gnostic sectarians. For Mormons, various groups maintained, and still maintain, elements of the gospel which the Mormons believe they possess in a more correct, restored form. Mormons are Mormons, and it would do to evaluate the religion as such, rather than file it under a label that contains both things that Mormons embrace and that they very much disavow. 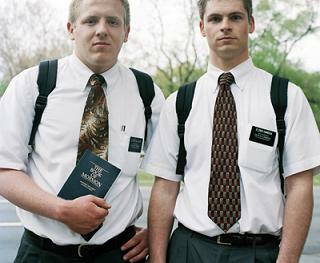 Mormons are indeed Mormons, and I don’t pretend they are identical to ancient Gnostics. This article merely notes that SOME of their doctrinal ideas are shared in common for both groups, and that in those instances the responses of the church fathers to Gnosticism may give some ideas to how to respond to Mormons in those particular areas of discussion. Mormons do not accept Doceticism. Mormons believe Jesus to be Jehovah and to have a very real physical body since the Incarnation, and Mormons believe Heavenly Father (Elohim) to have a physical body and to be the physical as well as the spiritual father of Jesus. Call these ideas unorthodox if you insist; how do they relate to the Docetist ideas of some Gnostics? Agreed, Mormons are not docetists. In that way, which I agree is significant, they differ from Gnostics. I have LDS relatives. They do NOT believe God the Father begot the Holy Ghost with a “spiritual wife”. They believe that Jesus Christ is the ONLY Begotten Son of God, just like the Bible states. What the Trinity states is not in the Bible. The explanation of the Trinity was put forth by man to explain a confusing belief, using words not found in the Bible, but found in Greek philosophy. I am non denominational Christian and do not believe the Trinity teaching, so I guess I am not a true Christian, right? I am discussing Mormonism with my relatives and I have observed that those who criticize the Mormons about many things, also do those very same things of which they criticize Mormons for doing. Which is why I am looking into it. It saddens me that many Christians are bigoted hypocrites. I can’t speak for your relatives, this article concerns the doctrines of the LDS church. I would agree that many modern-day Mormons are unfamiliar or unconcerned about many of the church’s doctrines and statements that are inconsistent with orthodox Christianity. In fact, many individual Mormons have likely adopted more commonly held views of orthodox Christianity, never having heard some the LDS church’s less acceptable positions (often inherited from earlier prophets). Moreover, as noted, the Mormon church freely adds and modifies its doctrinal stances through continuing revelation through its prophets, which can confuse discussion on particular doctrines (whether they are still the doctrines of the church). The sheer number of sources for Mormon doctrine has become staggering, since they include the Bible, the Book of Mormon, the Pearl of Great Price, and many volumes of various prophetic declarations, writings, and manuals of the church. In fact, doctrinal distinctions have fallen out of favor in the spiritual culture as a whole. These days, any discussion of “right” or “wrong” beliefs results in being labeled as a bigot, as you have done. Nevertheless, I’m not an expert on Mormonism – that’s why I list sources for my assertions. The source for that comment was an expert on Mormonism, Walter Martin – and you are welcome to challenge his research, if you like. As for your comments about the Trinity – I do indeed hold the Trinity to be both Biblical and orthodox. Since I don’t know what you actually think about the Father, Son, and Holy Spirit – I couldn’t say how orthodox your beliefs are. As to whether you’re a true Christian, that’s not for me to judge. This article is about doctrinal differences with Mormonism. I’m glad you’re discussing Mormonism with your relatives – I’m sorry that you find it so offensive that someone disagrees with their doctrinal positions. There seems to be an inordinate aoumnt of……in the definition of endorsing when it comes to the actions of nonprofits. But it seems hypocritical for atheists to criticize one group’s behavior while engaged in the same behavior.But…you know…hypocrites…politics…there doesn’t seem to be any line of demarcation between the two any more. I am reading this enormous piece of writing to increase my knowledge.